There are many factors you can consider when trying to choose eco-friendly toys for your children, such as packaging, materials used in construction, and more. This is a guide about tips for choosing eco-friendly toys. Young children have a natural tendency to explore new objects with all of their senses-especially their hands and mouths. That's why it's so important to make sure the toys we give them are green and healthy! Here are some tips for choosing eco-friendly toys. What Makes a Toy Green? Non-Toxicity: Scientists have already confirmed that ingesting lead paint poses a serious health risk to children's health. Although more studies are needed, early studies have also suggested that certain chemical compounds, like BPA or phalates, may be linked to cancer and hormone disruption. When buying plastic or painted toys, look for "lead-free" and "phalate-free" on the label. Better yet, avoid plastics altogether. Safety and Age Appropriateness: Make sure you select toys that are appropriate in age and skill level for the child they are intended for. Check them regularly for loose or damaged parts that could lead to choking hazards or other accidental injuries. Reduced Environmental Impact: To be considered truly eco-friendly, the entire life-cycle of a toy (from "cradle to the grave") should be looked at from the standpoint of its total impact on the environment. This includes where it was manufactured, how it was manufactured, its longevity and durability, and its ability to be reused and recycled. Renewable Resources: Wooden toys (especially when sustainable certified) and toys made from organic fibers are a good alternative to toys made from petroleum-based plastics. Not only do they reduce the risk of exposure to potential toxins, but they are made from renewable resources. 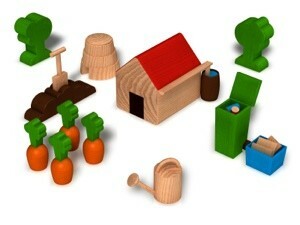 Wood toys that are FSC certified, means the wood you're buying was grown and harvested responsibly. Toys made from organic fibers (cotton, bamboo, wool) means that no herbicides or pesticides were used in growing the plants or dying the fibers. Low or No Energy Use: Eco-friendly toys are usually designed to stimulate a child's imagination, not over-stimulate their senses with noisy bells and whistles. Look for simple, quiet toys that use little or no energy, or at least come with rechargeable batteries to help eliminate waste. Locally Made: Eighty percent of the toys purchased in the United States are made overseas-the majority in China, where environmental and safety standards are weak. 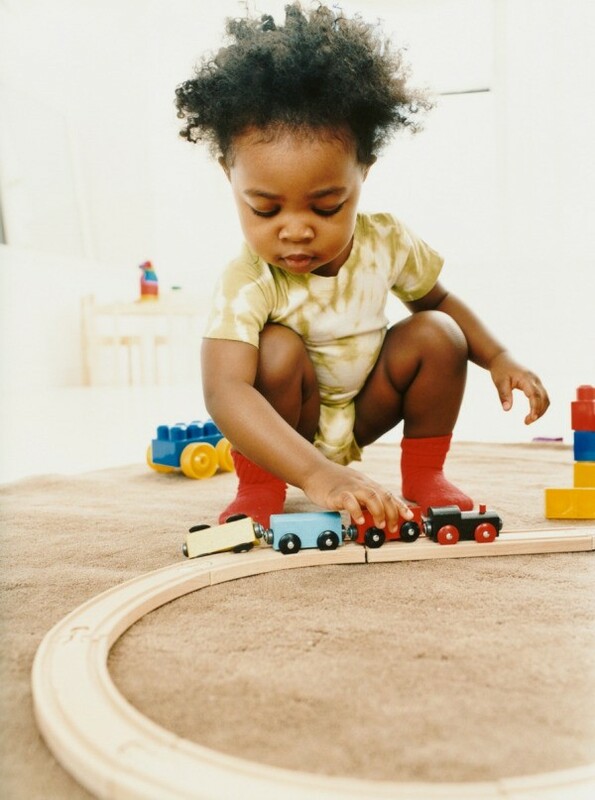 Supporting locally manufactured toys helps reduce the energy and pollution associated with shipping products overseas. Minimal Packaging: Sometimes the packaging for a single item can be more than twice the size of the item itself. Less packaging equals less waste. Durability of Construction: When purchasing new toys, keep the toy's potential longevity on your mind. Will you have to replace it in a matter of months, or will you be able to hand it down or pass it along to another lucky child?